The Corps Marshal of the Federal Road Safety Corps, Boboye Oyeyemi, has told Nigerians that the corps is not recruiting currently, warning against fraudsters using the name of the corps to dupe unsuspecting job seekers. 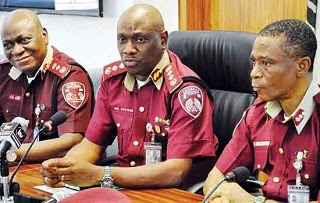 The warning was contained in a statement by the Head, Media Relations and Strategy, FRSC, Bisi Kazeem, where he was quoted to have said this on Monday, while addressing staff of the National Headquarters at the Corps Marshal’s weekly Parade. He said, “My attention was drawn to the rumour, and I want to put it directly to you, that FRSC is neither recruiting nor doing any form of replacement as people are insinuating outside.” Now you know.